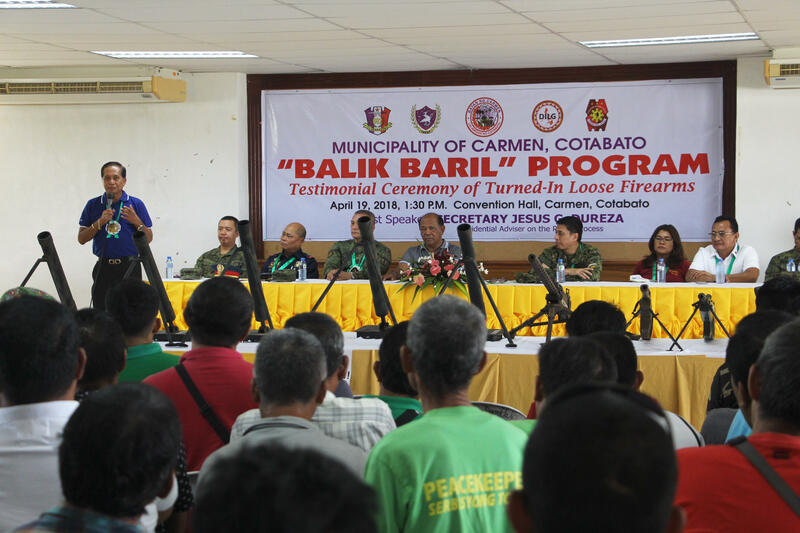 Carmen, North Cotabato, April 19, 2018 — The municipal government of Carmen handed over more than 100 high-powered loose firearms to the 6th Infantry Division of the Philippine Army, leading the rest of the province in supporting the national government’s Balik Baril Program (BPP). 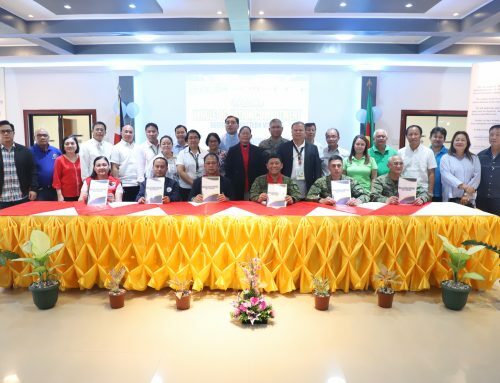 Among those who witnessed the handover ceremony were Presidential Adviser on the Peace Process Jesus Dureza, North Cotabato Governor Emmylou Taliño-Mendoza, and 6th ID Commander Major General Arnel dela Vega. 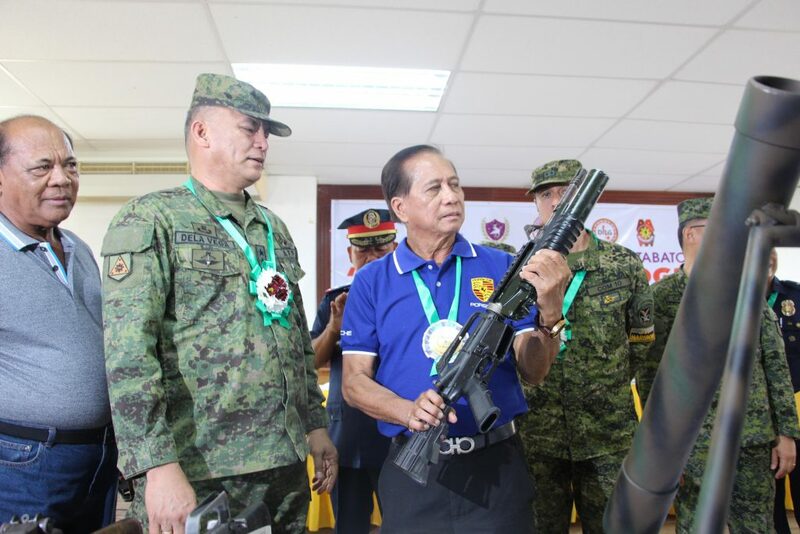 In his remarks during the event, Dureza lauded the municipality of Carmen for taking the lead in addressing the problem of loose firearms in the province. 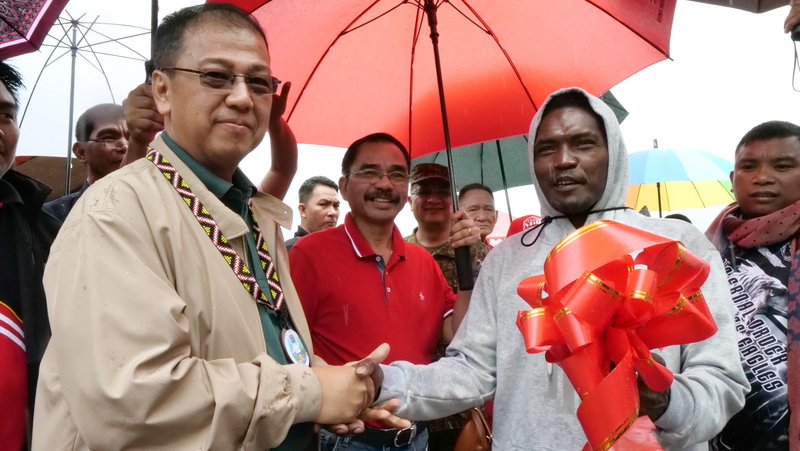 “These (guns) are a symbol of your cooperation,” he said, pointing out that the handover was the result of the municipal government’s strong desire to establish a culture of peace in the community. “We are doing this because we don’t want our youth to experience what we have gone through,” he said. 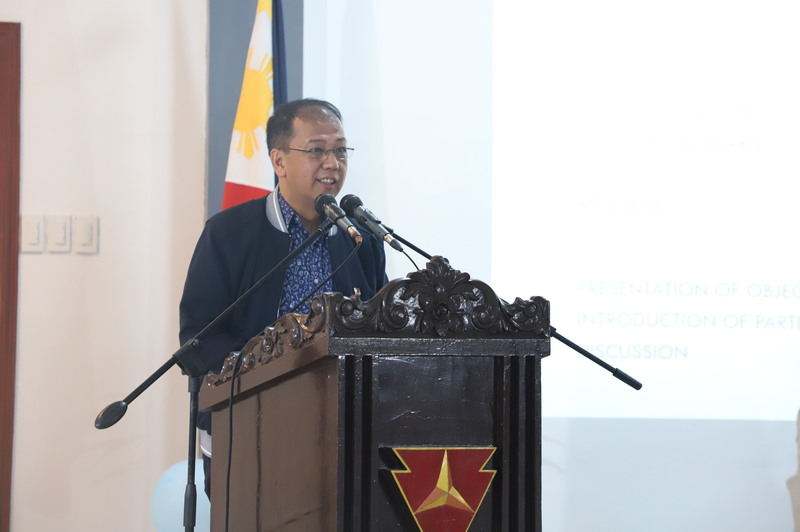 The BBP is in line with the Duterte administration’s determined efforts to address the problem of lawlessness, violence, and armed conflict across the country. 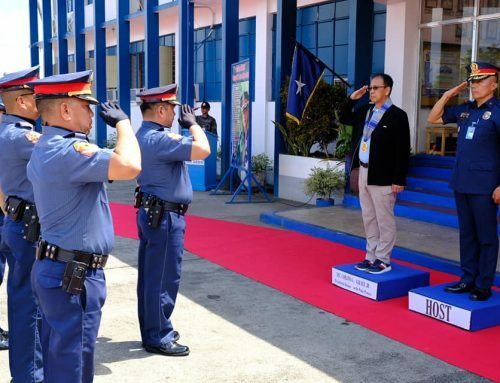 Dureza recalled that Carmen was once considered a military hotspot, being the site of numerous armed battles between government troops and rebel forces. 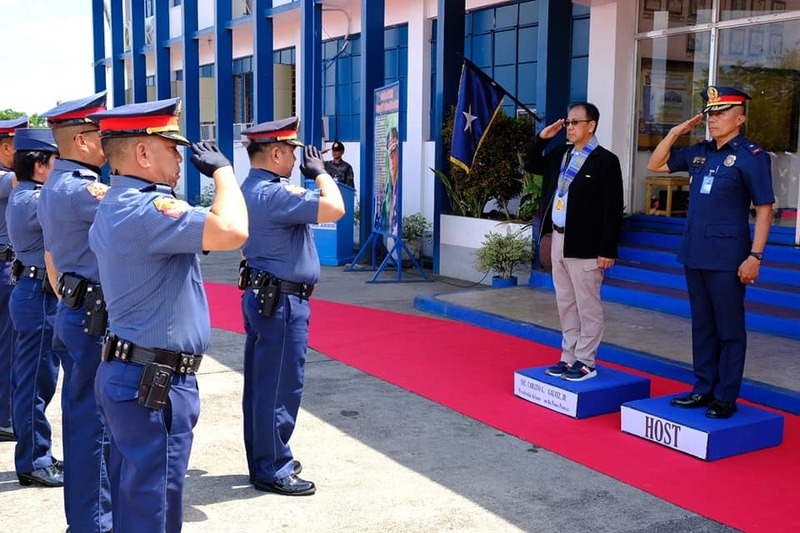 But he said the situation has turned around through the leadership of local officials in the province led by Governor Taliño-Mendoza and Carmen Mayor Rogelio Taliño. 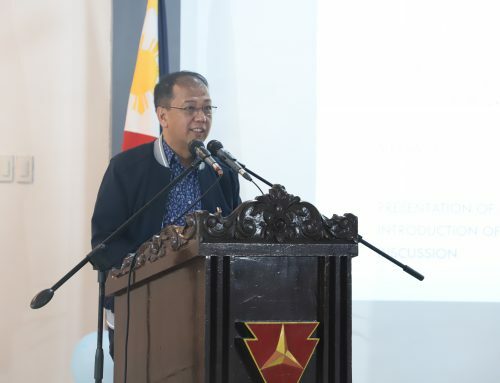 Dureza said that through the peacebuilding efforts of the governor and mayor, the inter-religious and inter-cultural relations between Muslims, Christians, and Lumads have improved significantly. “We need to learn to accept our differences. 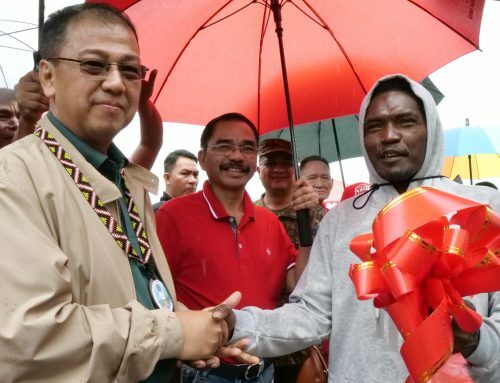 There is no longer a need for us to make a distinction between Muslim, Christian and Lumad,” he said. Mayor Taliño said the transformation of Carmen has been dramatic. “Gone are the days that Carmen was looked upon as a war zone,” he said. 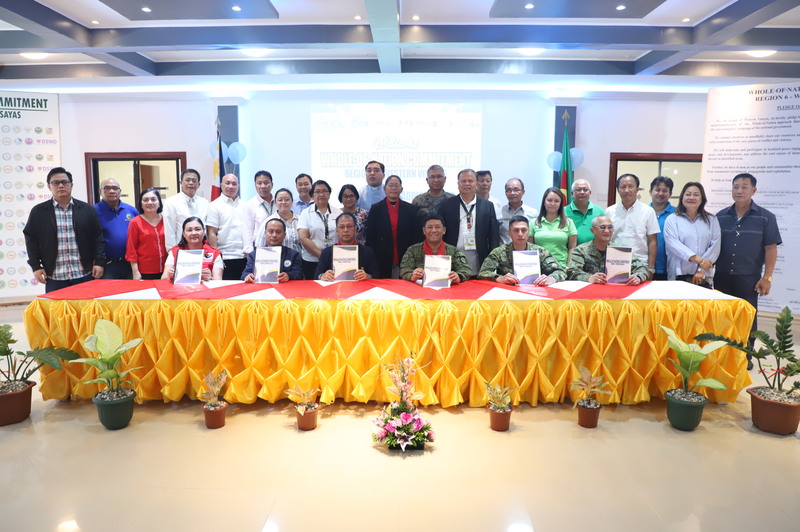 For her part, Governor Taliño-Mendoza lauded Carmen for being the first municipality in the province to successfully implement the BBP.